By 2021, It’s predicted that the US digital marketing spend will be approaching $120 billion. Within that digital marketing spend, many businesses have been and will use a Google AdWords campaign to grow their business and their reach. As a business owner or entrepreneur, it can feel like everyone is out to get you and it’s easy to see why so many businesses have a meltdown when it comes to SEO and AdWords. It can be frightening to fight your competitors, and it’s easy to feel like a small fish in a big pond. Fear not, this article will take you through 12 compelling ways in which you can protect your campaigns from a keyword assault from your competitors. Before we go into the different techniques and ways you can protect your AdWords campaign, first it’s worth understanding the statistics behind Google AdWords and why it’s so powerful to run a successful campaign. With Google controlling a monstrous 71% of the search market share, AdWords certainly isn’t one of the newest ways to advertise your business it can be one of the most effective. With such potential for excellent returns, you can see how crucial it is to not only dominate your brand’s search but also to keep yourself in the number one spot. With this in mind, let’s run through 12 ways you can protect your AdWords campaign from your competition. Before you rush into war, first you should probably assess how big the opposing army is. Why should it be any different for your AdWords campaign? When you first realize that somebody is bidding on your brand keywords, it’s worth looking at not just that one search but all of your AdWord campaigns. Make sure that the competitors aren’t coming after your brand on other platforms, as Google is closely linked with Amazon searches, AOL and Dogpile. That’s a pretty big list, you don’t need to go through each one but certainly check out a few of the more prominent search sites like Amazon, Dogpile, AOL and Ask Jeeves and see if they’ve affected your search campaign there. Research into this should give you a better understanding of the audience they’re targeting and how much they’re spending. It might be a longshot, but if you have a trademarked name that is being targeted, then Google might get involved and help. It all depends on what the competition is doing. If a competitor is just bidding on your keywords without any trademark infringement, there’s not a lot you can do. However, if a competitor is using your trademarked brand name or slogan, that’s a different story. If you find competitors, who are using your name or slogan then get in touch with Google to see what they can do to help you, the main reasons Google will usually help is something like trademark infringement. It might sound odd to reach out to somebody who is stealing your business and asking them ‘Hey bro, mind not taking all our customers please?’ But that awkward conversation could mean massive returns for you if they do stop. As with anything, there is a right way and a wrong way to go about this; the trick usually is to be polite, but firm. Sometimes the polite, humorous and civil approach is the best approach to take for immediate results. You can either target brand new keywords in the hope that the competitor won’t try and target those keywords too. Or the alternative is to begin all-out keyword war and start targeting their branded keywords. The first option is more challenging, and many may see it as the cowards way out. The second option can have two excellent outcomes. Either the competition becomes aware you are targeting their branded keywords and decides to back off the original AdWords campaign they focused on. Alternatively, they continue to do so, but you reclaim some of your lost business by capitalizing on their branded keywords. As you probably know, when using pay per click advertisement, Google charges per individual user that clicks on your adverts. Depending on your keyword choices it can range from a few cent to a few dollars. You will sometimes find unethical businesses will aim to click on your adverts to use up your PPC budget; this is commonly referred to as click fraud. 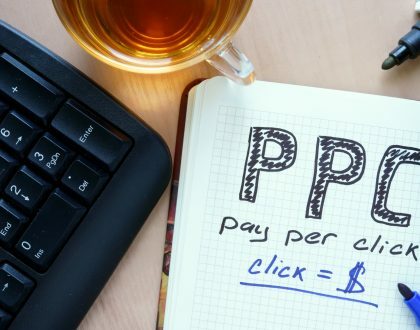 Google has implemented a system to analyze your ad click-throughs, and if they identify any click fraud, it will automatically filter these from your account, and not charge you for them. This, however, is an imperfect system which won’t catch everything, although it’s a great start! The issue is it targets bots, and if somebody was manually clicking your link, this can confuse Google. The great news is Google AdWords will let you manually block IP addresses, so if you notice one IP address that is screwing your PPC budget, consider blocking that IP. Googles share of the internet market has risen drastically in the last seven years. Google is by far the largest receiver of global ad revenue achieving $79 billion in 2016. Facebook comes in number two spot who raked in nearly $27 billion in ad revenue in the same year. The majority of the revenue is coming in from digital ads. 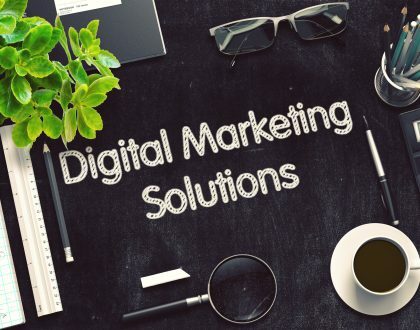 By understanding that the growth of digital advertisement is going to surpass all other forms of advertisement, you can set yourself up in a position to take advantage of this. Protect your campaigns by diversifying, and investing more into digital advertisement compared to traditional advertisement methods. One of the best ways to beat your competition is to keep your campaigns changing. This makes your campaigns challenging to follow and even harder to analyze, replicate or target. Try changing up your AdWords campaigns, if you always use PPC advertising try changing to a different method like a call-only campaign. These PPC adverts aim to encourage people to reach out and call your company directly, instead of following a link to a site. You can also look into diversifying your campaign amongst Google’s other platforms like Youtube. Youtube’s Trueview ads allow you to reach your target audience whilst they are watching videos. One thing that can catch out many businesses is the people in their network promoting their products. It’s crucial to implement robust terms and conditions if your company uses resellers or affiliates. Without this, you can find affiliates and resellers targeting the same keywords in their AdWords campaign, and this can push costs up for everybody involved. You may get sales through them, but the cost of adverts, the affiliate commission, and the lost sales can add up quickly. Make sure to include in your terms and conditions a section prohibiting them from buying your brand terms, or misspellings of your brand terms, at the risk of ending their relationship with you. Ad extensions are a nifty little way to bulk out your ad to push out the competition. Ad extensions take up more space in your AdWords campaign, and this can push your competition further down the page. Wait, do you know what Ad extensions are and why you should use them? You’ll also find that ad extensions improve your click-through rate and have a reduced cost per click. You can add enough ad site links to swallow up the entire paid for ad section of a search. The ultimate fast track to beating out the competition is to take up arms and increase your branded ad spend on your AdWords campaign. The amount you’ll need to pay will also correlate with how much your competition is spending on the keyword. It might feel backward to spend more money on your own branded keyword, but unfortunately, that’s the game, and if you want the quickest way to get back on top this is it. Another way to add an incentive to your advert is to include a discount. 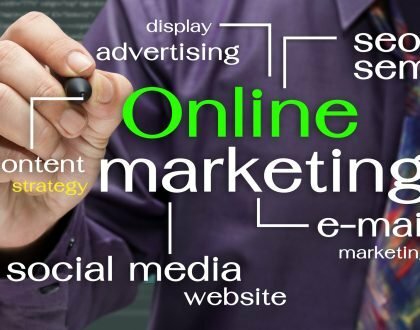 It can also pay off even if you are organically ranking number one in your search term to also get the top spot for adverts so that there is no way anybody will take that place away from you. It all depends on how valuable that keyword term is for you. For branding, though it’s always a good idea to maintain a paid AdWords campaign so that whenever anybody is searching for you, they find you. Quality scores are Google’s ranking method for how good your ad is. We can’t understate how important of a metric this is. A good quality score means that you’ll be paying less per click, meaning the money you bid will go a lot further. Google measures your quality score on a scale of 1-10, the higher your score, the better your ad will rank in the search engine. You can even view the quality score of your ads in your Google AdWords dashboard. The central question is how do you improve that number? To improve your quality score, you need to have a great landing page experience, high click-through rates and you’re also measured on ad relevance. When a competitor is targeting your keywords in their AdWords campaign, you can bring the fight to them by reversing the role. Changing your AdWords campaign to target their branded keywords can be a great way to recapture some lost customers as well as new ones. You can also use a little humor in your ads if it fits with your brand image. You can see playful humor battles in adverts between companies like Apple and Samsung all the time and can be a great way to attract your competitions customers over to you. Armed with these twelve tips, it’s time for you to show your competition that you mean business. Creative marketing to boost business has always been the best approach, and you can target your competition in the same way to boost your brand. For help on developing your PPC AdWords Campaign don’t hesitate to get in touch with us today to start developing and growing your businesses brand.